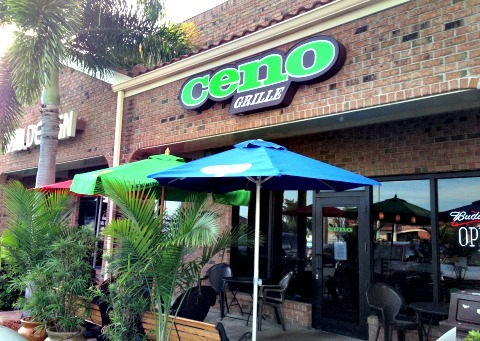 Ceno Grille - If you love Mediterranean food, come to this Cape Coral restaurant for delizioso Greek and Italian dishes! The restaurant's name is based on a word that means "to dine" in Italian. And dine you will ........ on large portions of tasty appetizers, soups, salads, sandwiches, pasta, and entrees at reasonable prices. After reading rave reviews, I decided to go for my birthday with my family to check them out! Even though the restaurant is small, there's room enough for several tables, a couple high tops, and a bar section. There are a few tables set up outside in the front. Orange and lime green walls and a casual ambience characterize the cozy bistro. 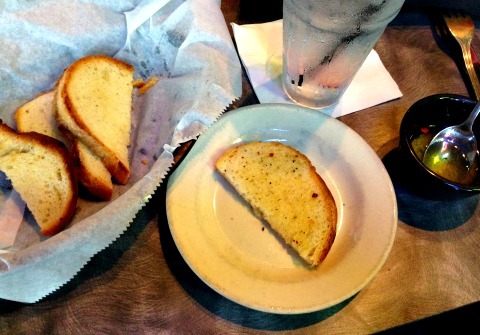 After ordering, they served my favorite ...... warm bread with garlicky olive oil for dipping ........ yum! I decided to get Ceno's signature dish ........ 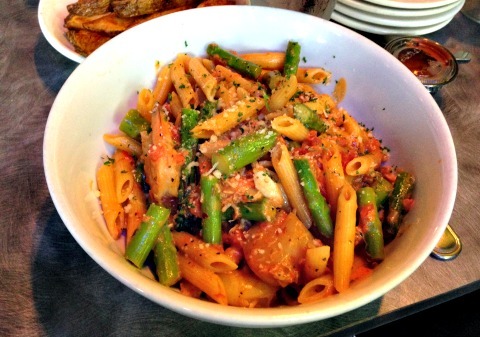 Seafood Asparagus, with shrimp, crab, scallops, and asparagus in a creamy and slightly spicy tomato sauce. I thought it was sooooooo good ...... and was happy to be able to bring home a doggy bag to feast on leftovers. 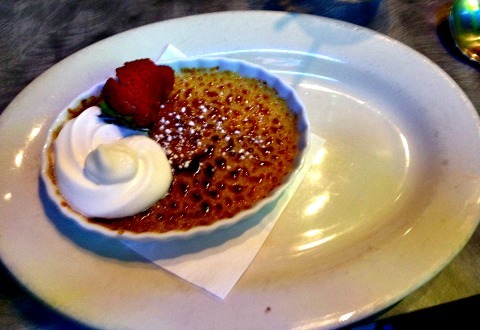 For dessert, it was tempting to get Tiramisu or a Cannoli, but I went with the Creme Brulee ..... I always have room in a corner for that! George Lukas, the owner of Ceno, used to own the popular restaurant Geo's. 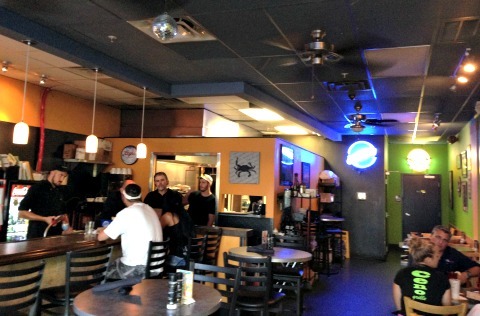 I was so upset when they closed but was happy to hear when he opened the latest of his Cape Coral Fl restaurants. Here he combines his mother's Greek recipes, his passion for Italian food, and background in cooking seafood Maryland-style. They are open from 11AM-10PM, Monday - Saturday, and are located next to Lobster Lady in a shopping plaza on Cape Coral Pkwy, just west of Chiquita Blvd. You can have their food delivered through Grub Cab.